Niagara-on-the-Lake hosted the Canadian Open Championships (now the Rogers Cup) 14 times from 1895 to 1914. In 1907, over 2,000 spectators watched Wimbledon Champion May Sutton win the Women's Championship at the Queen's Royal Hotel court (below right). 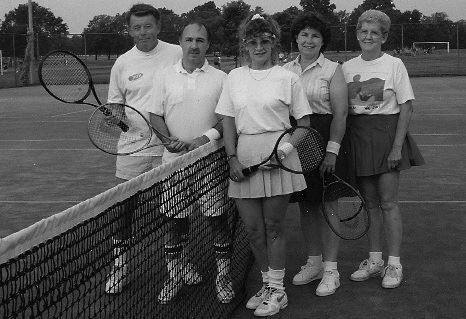 Niagara-on-the-Lake Tennis Club was formed in 1970 with 26 dedicated and enthusiastic Members. 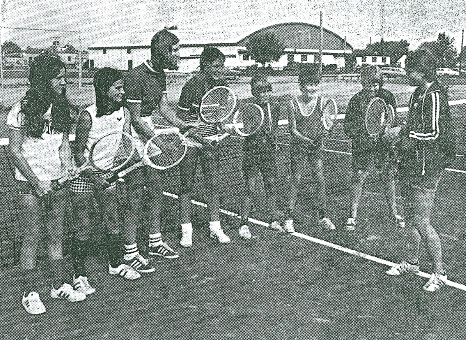 Playing tennis on the windswept courts at Niagara District Secondary School was not for the casual player — a true love for the game was a necessity. August 7, 1974: Nancy Drope, 16, instructs at the Virgil courts. 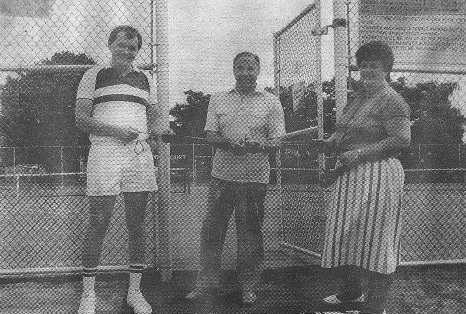 July 5, 1986: Lord Mayor Jim Marino, flanked by Councillors Jim Collard and Lorraine Warner, cuts the ribbon to open our new facilities at Memorial Park with lighted synthetic grass courts. 1995: Original Members John Wall, Danny McCarthy, Marlene McCarthy, Bev Lees, Elaine Whittaker at our 25th anniversary. 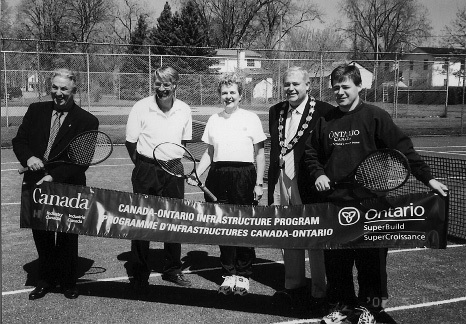 May 4, 2002: Opening day for the resurfaced courts with MP Gary Pilliteri, Parks & Recreation Director Clive Buist, Club President Irene Wall, Lord Mayor Gary Burroughs, MPP Bart Maves. 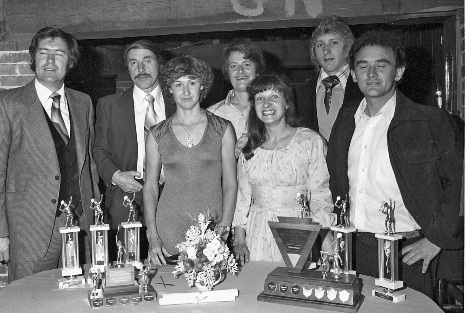 November 3, 1977: Members Alex Fast, Harry Knauer, Marlene McCarthy, Barbara Ahluwalia, Eleanor Bohnet, Pete Wyslocky and Erwin Bohnet at the Club's annual award presentation. 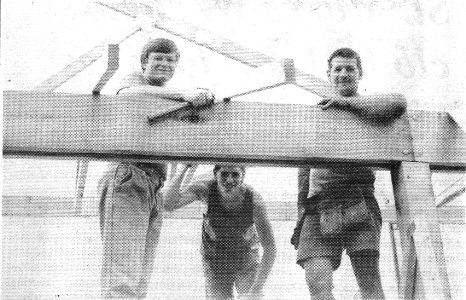 July 17, 1990: Volunteers Ken Rive, Mike Kanters and Brian McVanel building the pavilion. 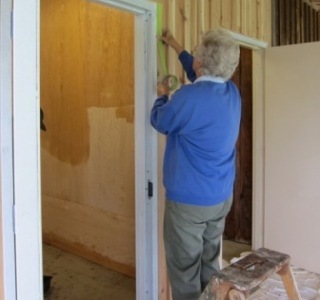 In 2009, a mini kitchen with cupboards, shelving and a donated refrigerator were added. A mural by Dorothy Booth provided a nice finishing touch. 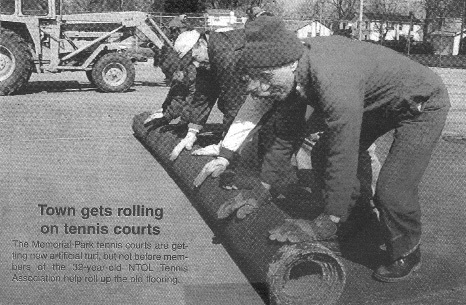 April 13, 2002: The courts were resurfaced by the Town, with federal and provincial funding assistance. Club volunteers removed the old surface. Harry Knauer is in the foreground. 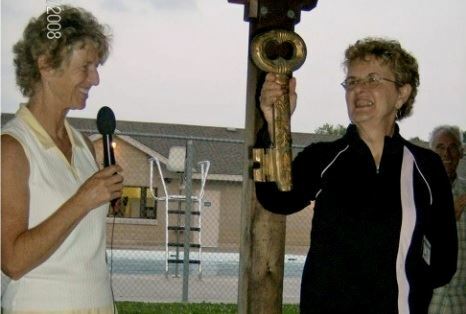 July 11, 2008: Club President Rosemary Goodwin presents Irene Wall (President 1995 - 2007) with a Lifetime Membership. June 11, 2010: 40th Anniversary Opening Day. Over 90 Members, ages 8-80, surround Lord Mayor Gary Burroughs. 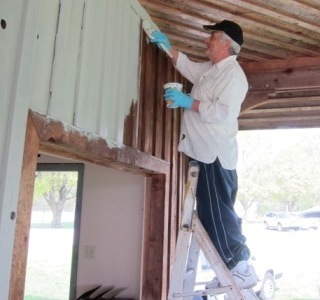 2012: The tennis pavilion was renovated to add storage space and exterior lighting. 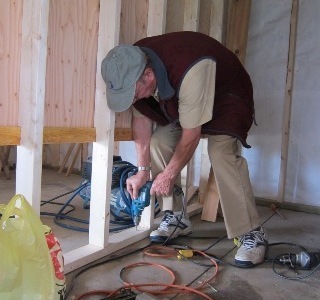 All the top quality work was performed by volunteer Club Members, overseen by Richard Berti (on the drill). That's Monica Berti taping and Victor Gallo on the paintbrush. 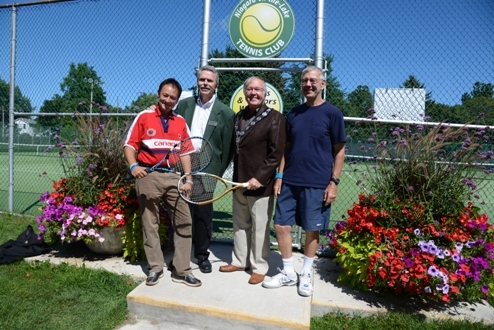 Sept. 8, 2013: MPP Kim Craitor, Harvie Hagerty - Trillium Foundation, Lord Mayor Dave Eke and Club President Ian Waddell announce Trillium's $70,000 court resurfacing grant. 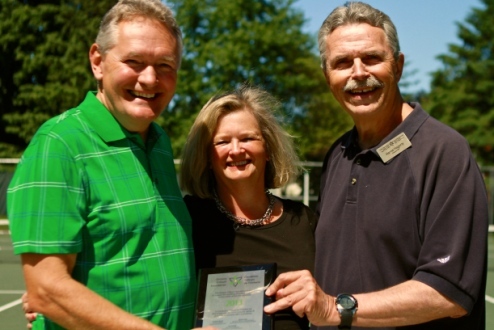 June 7, 2014: Councillor Jim Collard, Club President Marilyn Francis and Ontario Trillium Foundation Grants Review Team Member Harvie Hagerty open the resurfaced courts.